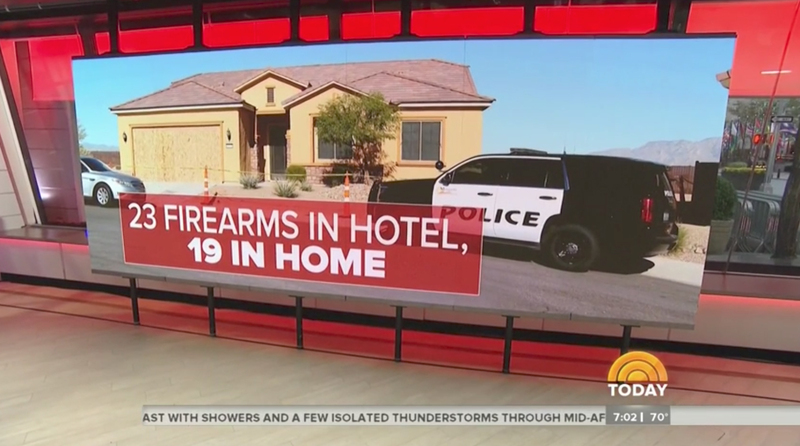 NBC’s “Today Show” used a unique look for its entire open, switching to blue and white rings and a switched to the “Las Vegas Mass Shooting” in favor of the “Deadly Las Vegas Shooting” it used Monday morning. 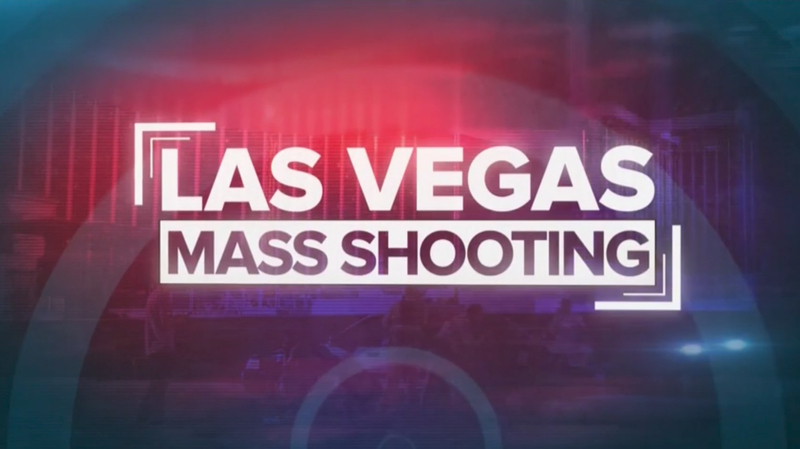 The graphic appeared both in the lower left corner with the same offset square design used Monday as well as in a simplified full screen version with right angle elements in the upper left and lower right. 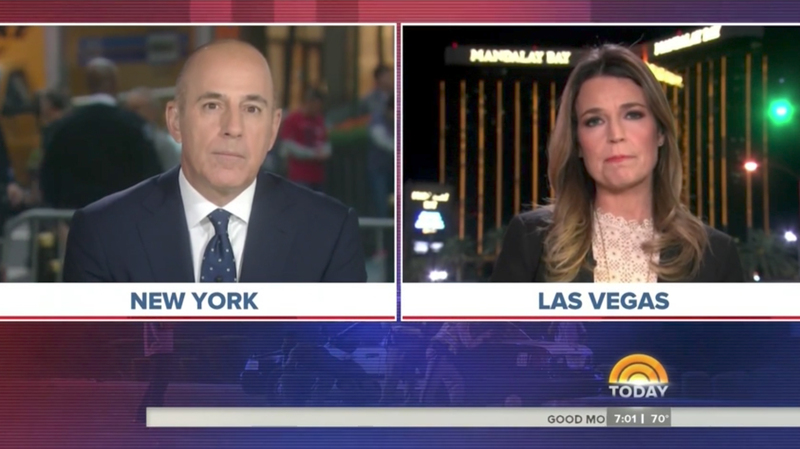 The show’s open included a distinct musical bed and “special edition” notation before introducing Matt Lauer in New York and Savannah Guthrie reporting from Las Vegas in a “split” edition of the show. 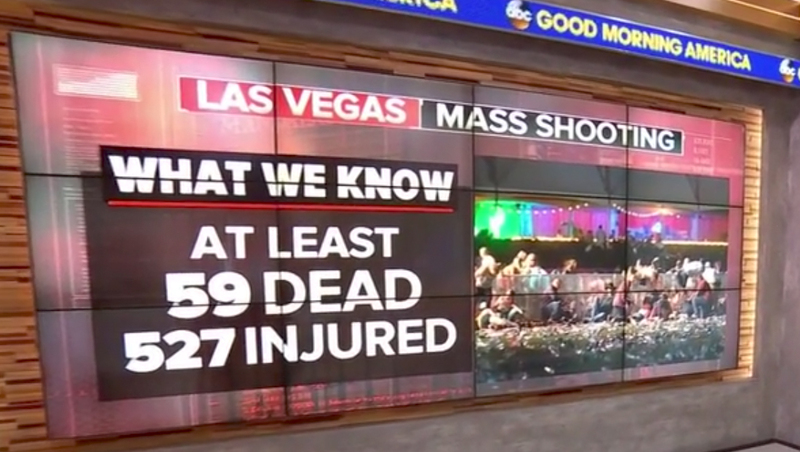 As is typical with major top stories, the show also made use of the video panels in the so-called “Production Area,” which was accented with bold red accent lighting, to showcase key facts about the story.